Microsoft is considering a next-gen Shadowrun game that is currently being pitched by Team Dragonpunk as an Xbox One X exclusive. That’s what Daniel Connery, lead software architect and founder of Team Dragonpunk (the creator of the Tribe of Gods mod for Ark: Survival Evolved), said during a recent interview with website the Gaming Ground. According to Connery, the team is looking to create a next-gen action-RPG/multiple player Shadowrun game published by Microsoft. I think we better set the record straight from the very start to avoid any potential misunderstandings or such. So is it correct that you want to make a remake of the original Shadowrun game? Or is it a new nextgen “Shadowrun” title that you aim to develop? Furthermore, what kind of an game will it be? Sorry for the confusion, but no. 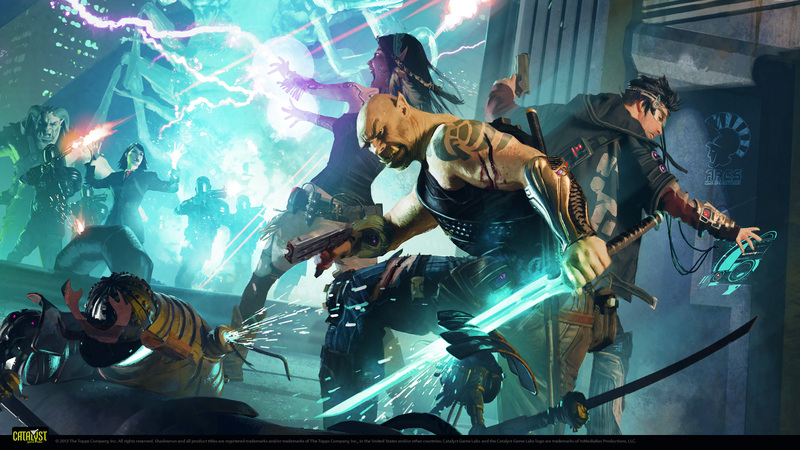 We want to create a next-gen Shadowrun platform to allow traditional, new, and mod campaigns. For example, there would be no reason why you couldn’t remake the old games as a mod, just like they’re doing with the SNES game in Shadowrun Returns. There are always challenges with next-gen modding, but as Modders ourselves for the last three years, we know exactly how to handle that! It would be an Action-RPG/Multiple player title, of course! Like the RPG glory days of Mass Effect with multiplayer elements like Destiny. I could be wrong now, but doesn’t Microsoft own the Shadowrun IP? Microsoft does indeed own the video game rights for Shadowrun (not book rights or anything else though). Due to Microsoft owning the rights to the franchise, its up to them to decide on which Shadowrun game the remake will be based, although the Dragonpunk team is currently pitching a project called ‘Shadowrun Anthology”. If Microsoft gives you a green light to make the “Shadowrun” remake, then which “Shadowrun” game will the nextgen title be based on? The Mega Drive or Snes version? Or the later “Shadowrun” games? That will be up to Microsoft. What we’re pitching right now, is a project tentatively called “Shadowrun Anthology” in which there are three types of campaigns: traditional, new chapters, and mods. The traditional missions are straight from the books with all the characters and plots players love. “New Chapters” are completely new campaigns, and may have a completely different feel. You know, in my mind, campaigns like “Shadowrun: Hong Kong” would fall under this category. Finally, mods are player created stories. Mod support would be built in from the beginning, so you’ll see a mod campaign in the same game list of available campaigns for each respective area. What do you aim to achieve with the nextgen “Shadowrun” game? And what could the fans expect to get out of it? At its core, “Shadowrun Anthologies” would develop a base platform used for years to come by both professional developers and Modders alike to bring their Shadowrun vision to life. The first story in the anthology would de the Dragonheart saga, then the tail of President Dunkelzahn’s assassination. According to Team Dragonpunk’s founder, their idea is currently being pitched to Microsoft as an Xbox One X exclusive title instead of a multiplatform game, though it might end up appearing on PC with crossplay functionalities as well. If Microsoft gives the nextgen “Shadowrun” title a go, then I take it that the game will be released to PC, PS4 and Xbox One? Good question. We’re pitching this as an XBox One X exclusive, though possibly with crossplay for PC. Ultimately, it’s up to them. The idea for a next-gen Shadowrun game sounds interesting indeed, but it’s up to Microsoft whether it will ever see the light. As always, we will keep you updated on this matter.